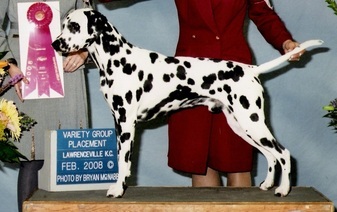 Ian is a two-time DCA Top Twenty Dalmatian with a flawless temperament. Now acting as a service dog, Ian has been a tremendous producer. Sassy is a gorgeous over-achiever like her parents. 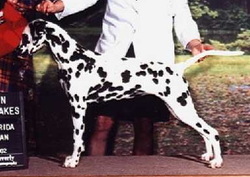 This litter produced outstanding pups with both beauty and brains. Specialty winners, obedience title holders, Road Dog titles, Best in Show winners and more..
Email us for information about this litter.